Movado watches are among the best known and most prestigious of fine Swiss watches in the world. Movado was founded in 1881 in La Chaux-de-Fonds by Achille Ditesheim, a 19 year old entrepreneur. 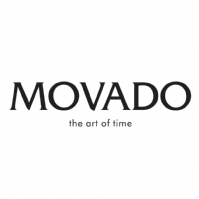 Movado has progressed over the span of three centuries to become one of the largest manufacturers of Swiss watches, having earned over 200 international awards for artistry and innovation, as well as holding over 100 patents.